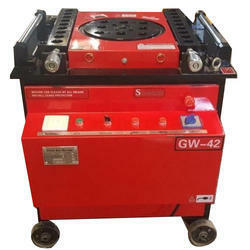 Manufacturer of a wide range of products which include automatic bar bending machine, steel bar bending machine, gw40 b bar bending machine, round bar bending machine, gw50j bar bending machine and tb32 bar bending machine. Our organization is highly rated in the field of providing Automatic Bar Bending Machine to our clients. Our offered product is known for its unique features such as long-term sustaining, superior and high in quality and known for its high performance. The most demanding model has a long run history of serving the construction industry, residential, Commercial or infrastructure projects. This superior quality machine uses simple mechanical gears to generate the required results. The electrical panel provides fully automatic functions where the operator can choose to bend an angle. The brake motor replaces the normal motor to provide long life to the electric panel. We at Topall Impex offer the high-quality range of Bar Bending Machine. 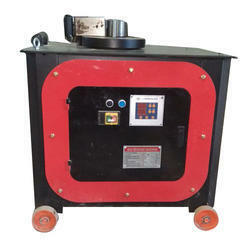 These machines are capable of carrying out heavy works with ease and have durable finish standards. Fabricated using advanced technology, our machines offer superior performance and are delivered within the stipulated time frame to the customers. The products we offer are available at market leading prices that suit the budgetary constraints of customers. Owing to our expertise in this domain, we are engaged in offering an excellent quality array of Round Bar Bending Machine. 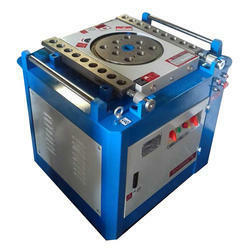 Offered machine is majorly used for bending the metal alloys in defined shapes and sizes. It is manufactured with the utmost precision of our deft professionals by employing optimum quality materials and advanced methodologies. Besides, the offered Round Bar Bending Machine can be availed from us in diverse technical specifications as per the clients' variegated requirement. 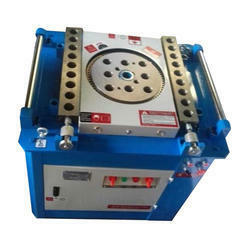 TB32 Bar Bending Machine has a long service life and available with various latest designs. We deliver our assignments using proper packaging standards. Our offered TB32 Bar Bending Machines are highly appreciated in the market and extensively used in industrial applications. 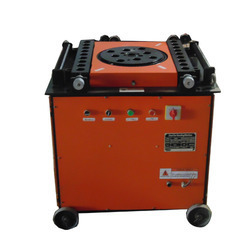 Since our inception year, we have been engaged in manufacturing and supplying high-quality range of Rebar Bending Machine. Under the observation of our adroit team, this is manufactured using high-grade materials. Excellent in functionality, this has been built to handle and withstand all projects large and small (construction & design). 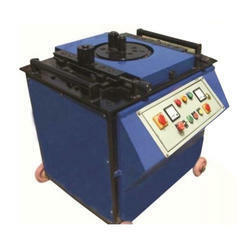 Our clients can avail this Rebar Bending Machine from us at market-competitive prices.